There are many ways on how to get rid of wrinkles around mouth. These little lines can make you look older, often times more than other wrinkles on the face can. Wrinkles cannot be avoided as one gets older. The best way is to prevent them from developing with some easy home remedies. 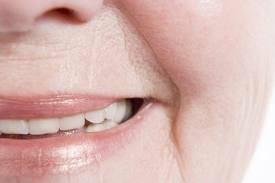 How to get rid of wrinkles around mouth? First, it is important to know their causes so you learn how you can prevent them from developing. Perioral wrinkles or lines around the mouth form during the process of aging because of the loss of proteins called collagen and elastin, which keep your skin supple and firm, leading to thin and less elastic skin. Excessive exposure to UV rays of the sun is the most common cause of premature aging, leading to wrinkle formation around the mouth. Smoking causes destruction of collagen and elastin, and habitual puffing causes facial contortions that lead to line formation around the mouth. Using a straw is similar to puffing on a cigarette, which leads to line formation around the lips. Although it seems harmless, chewing gum also involves facial contortions that lead to collagen and elastin destruction. If you habitually sleep on your side and bury your head on a pillow, lines can develop in the lower cheek and chin, which become permanent as collagen and elastin are destroyed. 1. Consume Antioxidant Foods. Intake of foods rich in antioxidants is important in preventing signs of aging, including the formation of deep wrinkles around mouth. Skin sagging and aging may be prevented by eating antioxidant-rich foods such as whole grains, broccoli, red grapes, berries, tomatoes, carrots, spinach, and garlic. Vitamin C-rich foods such as fruits and vegetables promote healthy skin and prevent loss of elasticity. 2. Consume Fish Oil. 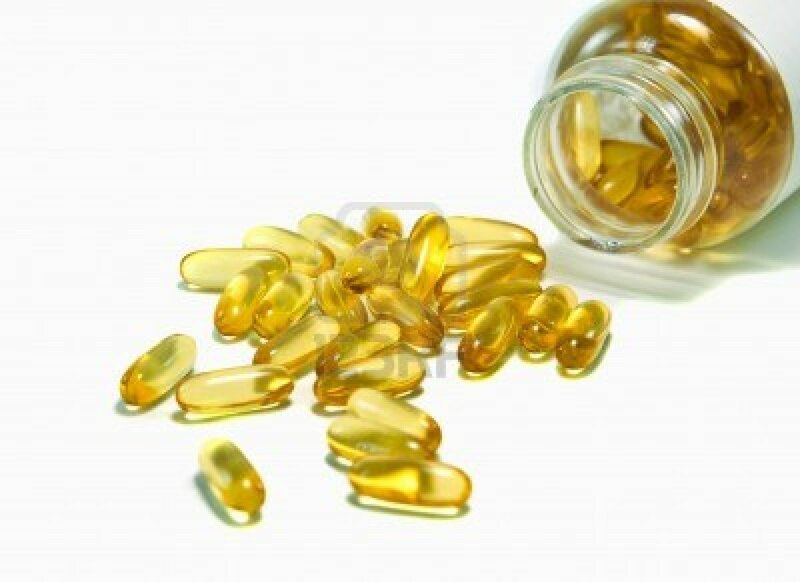 Taking fish oil supplements and eating fatty fish can prevent wrinkles because they are rich in omega-3 fatty acids, which reduce skin damage leading to wrinkles around the mouth and eyes. Facial Exercise 1. Place your index fingers inside the mouth and pull at the corners of your mouth. Pull hard to stretch the corners of the mouth up to about 1/4 of an inch. While doing this, tighten the muscles around the mouth, trying hard to pull your fingers closer together. Do this 25 to 50 times. Facial Exercise 2. Lift one side of the mouth, and work as hard as you can to lift this side of the mouth to form a half smile. Do that again on the other side of the mouth. 1. Apply Sunscreen. Application of sunscreen around the mouth and cheeks prevents premature aging and wrinkles around the mouth. Follow up with a moisturizer containing collagen or hyaluronic acid, which plumps up lines. Anti-wrinkle creams or skin treatments will also help reduce lines. 2. Stop Smoking. Experts warn that smoking causes the blood vessels of the skin to constrict or narrow, which impairs blood flow and reduces oxygen supply. Lack of oxygenation in the skin causes premature aging. Aside from this, harmful chemicals in cigarettes reduce the strength and elasticity of the skin, causing wrinkles to form. 3. Avoid Repetitive Movements. Habitually turning down the corners of the mouth, using a straw, or drinking directly from a bottle can also cause formation of wrinkles around the mouth, which is similar to muscle movements done when smoking. 4. Give Up Gum Chewing. Whenever you chew gum, you overwork facial muscles, which create wrinkles around the mouth. Chewing gum results in breakdown of tissue, which causes skin to age prematurely and speed up the development of folds around the mouth and lips. 5. Moisturize. Moisturize your skin all the time by cleansing the face, and using facial gel and hydrating masks. These also help keep the skin complexion flawless. For permanent or deep wrinkles around the mouth, you can ask your doctor about laser treatment to get rid of them faster. Home remedies take time to show good results while laser treatment will only take around two to three weeks to work. Side effects are few. Another option is to get Botox injections, which can erase lines temporarily.